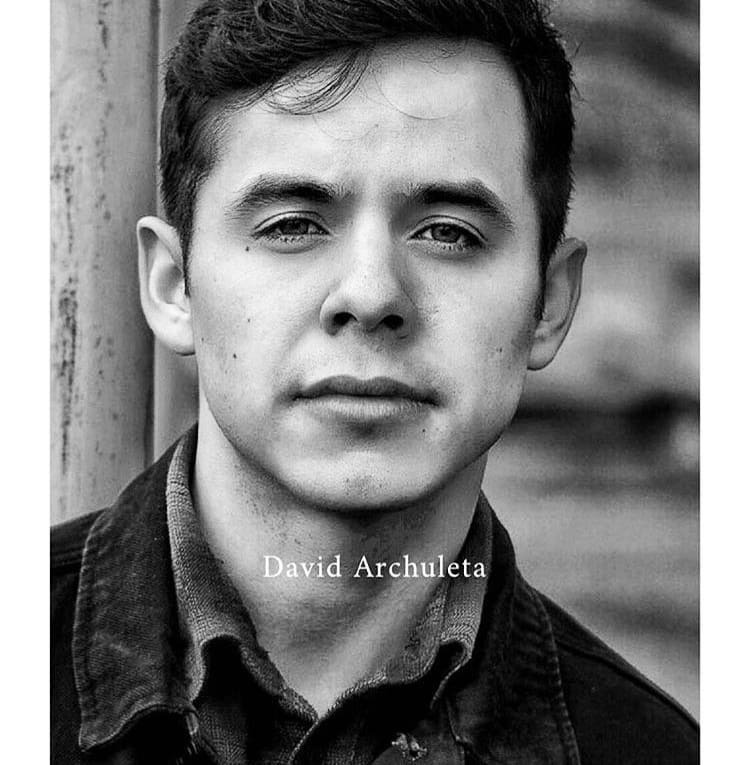 This entry was posted on Sunday, November 9, 2014 at 12:12 AM	and is filed under @DavidArchie, David Archuleta, fandom, GLORIOUS, music & lyrics, songwriting. 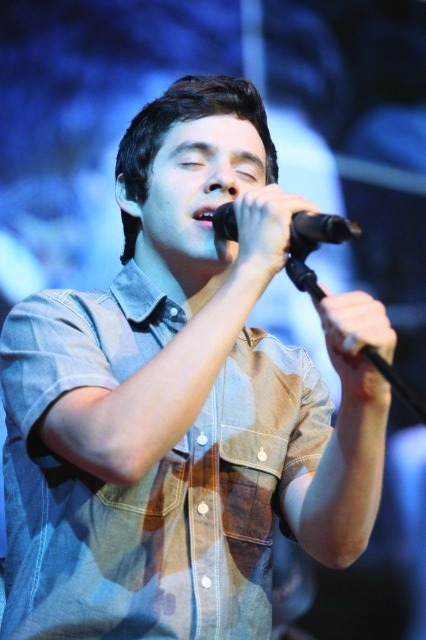 Tagged: David Archuleta, feeling his voice, from the heart, invitation to sing, The Song That Could, the Voice. You can follow any responses to this entry through the RSS 2.0 feed. You can leave a response, or trackback from your own site. Ages ago there was a song written by a group called, “The New Seekers”, it later became familiar as the words were adapted for a Coka Cola commercial. Later there was, “We Are The World”, first in English, and then later “Somos El Mundo”. And David got to participate!! We all remember that!! This “Little Song That Could”, has been offered for no other reason than to uplift and encourage. It is aimed for the individual, and asks them only to offer whatever is in their hearts…and to make that offering in a way that encourages others. How often we think our little bit is of no consequence! A great many of us cannot “sing” as DA does. Yet look how we are effected by reading about and listening to these comments and songs of others. We live in a time when we can easily feel that we are out-numbered and overwhelmed by difficulties, challenges, or sadness. This little song encourages people to just share what they have and to trust in the goodness that is so very abundant in others, to just “keep listening” for that song within our hearts, to be more aware of what – then – we are all “creating”. And there simply was no better purveyor of that message than “Dear DA”. When they, we hear him sing, we listen. Abrra, Yes to everything you said! The breathing life into it like only David could part was a genius move by whoever thought of him to sing the song. I had listened to the original when i was checking out Stefanie Maybey and thought “nice” (Zombie Song is my fav). But I didn’t “feel” it until David made the lyrics real, from his heart to ours. 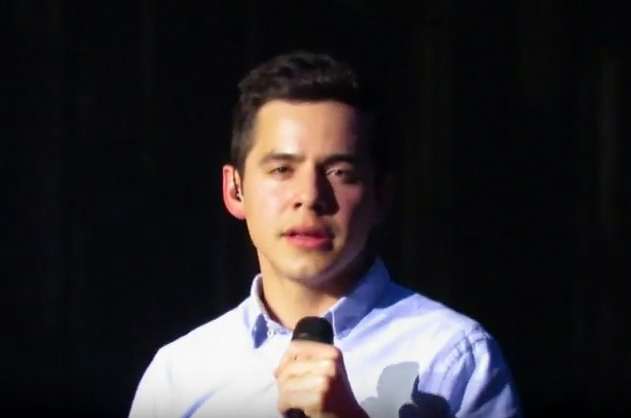 And now seeing the out pouring of love and gratitude for David, for the beautiful sentiment in this song by singing it and sharing it warms my heart. The written messages to David are beautiful. I hope he feels the love. This is from the You Tube site. “Fabulous song! I am not a Mormon, (or even Christian for that matter) and I love the song. It’s uplifting and the theme is universal. 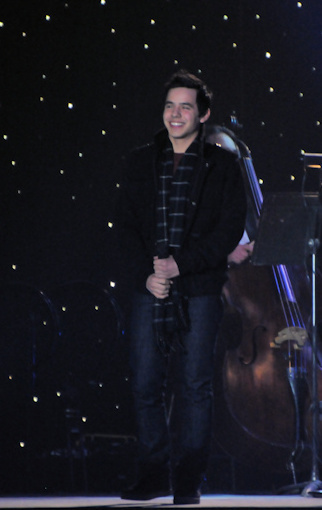 David Archuleta sounds better and better all of the time. You don’t need to be a Mormon to appreciate this beautiful song. <3﻿"
I totally agree with you, Abs. 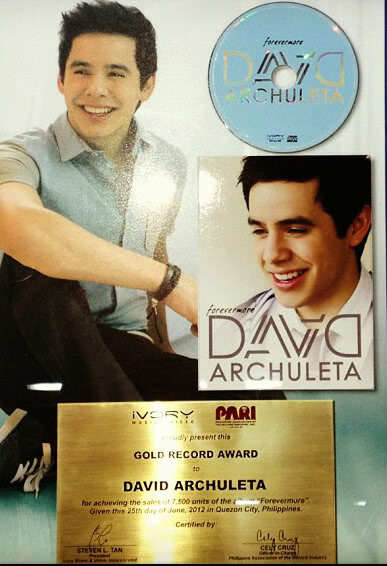 “Glorious” is a good catalyst to jump-start David’s career! It’s universal in it’s message and if it gives me a peaceful feeling when I hear it, I’m sure it does for others too. It even inspired several hundred to make their own covers! I monitor the new ones on Youtube because honestly, I can’t get enough. Here are two I’ve been meaning to share. Whats an article about Glorious without some Glorious videos? I remember that TV ad for Coca Cola! Bebe…. I LOVED that one of the children’s choir!!!! Wow, I am so glad that they had the courage to change it up for their video and make it really for their choir. Stephany Maybe must just be crying for joy. And I can’t even imagine how DA must feel. Who could have known all this would come of a “little song”? I love how this song has such a simple, universal and yet powerful message. It really is the song that could. It is a song that when I first heard it, I loved it. Then it just snowballed from there. I kind of went with the flow and figured that David knew what he was doing, as usual. 🙂 I always trust him that he knows what he is doing. He knows what he wants and with the right kind of help, he’s moving right along. And what ever he doles out, I’ll take it! 🙂 It’s always good, even though I have to have patience and wait for it longer than I want! 🙂 I wish he could get some award for it and also for Stephany for writing it. It’s a classic! I remember that Coke song too. Another catchy one that everyone loved. It never gets old. In honor of Nandito Ako returning for another viewing on TV5 in the Philippines. Bluesky, thanks for reminding us of another iconic song that has a message for humanity. When David sings Glorious he becomes the messenger. i saw where there are over 370 entries. That is amazing! Djafan, it’s possible that when David and Stephany were songwriting, they discussed Glorious. OR Meet the Mormons had picked it out for David to sing. I suppose we will find out someday when he writes his second book. Bebe, I really liked the videos. OneVoice Children’s Choir made a few changes and it’s still a wonderful presentation. Collegemom, David is all heart when it comes to sharing his talent. Oliveoil, thank you 🙂 I began to think about this topic on my way to work last week and so I shared my thoughts. Jan, I agree. Glorious is a classic. Proof is in all the videos done by a diverse group of fans. All so different, yet they all have the same feeling for the song. Abrra, this little song has seriously awakened millions. It’s created a reality check with so many of us. We really are individuals, living in the middle of many other individuals, and we have the power within us to become extraordinary — each one of us. Like you, I wondered at first about the reasoning behind giving away his first real ‘claim to fame’ (if you will) since his return from his missionary service. Thank you for dissecting that reasoning and coming up with a solution. I agree with you on it. I really, really like the video by the children’s choir. It seemed so upbeat and happy — more so that some of the others. Thanks, Bebe, for sharing it! Dang! I didn’t refresh before I posted…… Sorry Abs! Off to work on the puzzle!! Have to share my current favorite #Glorious cover. Sorry for being late with the puzzle. I should have decided what to pick last night. Thanks for such a wonderful post, Abrra. I want to say that, personally, this song has gotten me through a challenging and critical time on my life. I cannot thank the universe enough for sending David and this song my way just when I needed to hear it and when I needed that message to embedded in my heart and spirit. I feel lucky that it was David who was the messenger. For all of this, I will always be supportive of David. 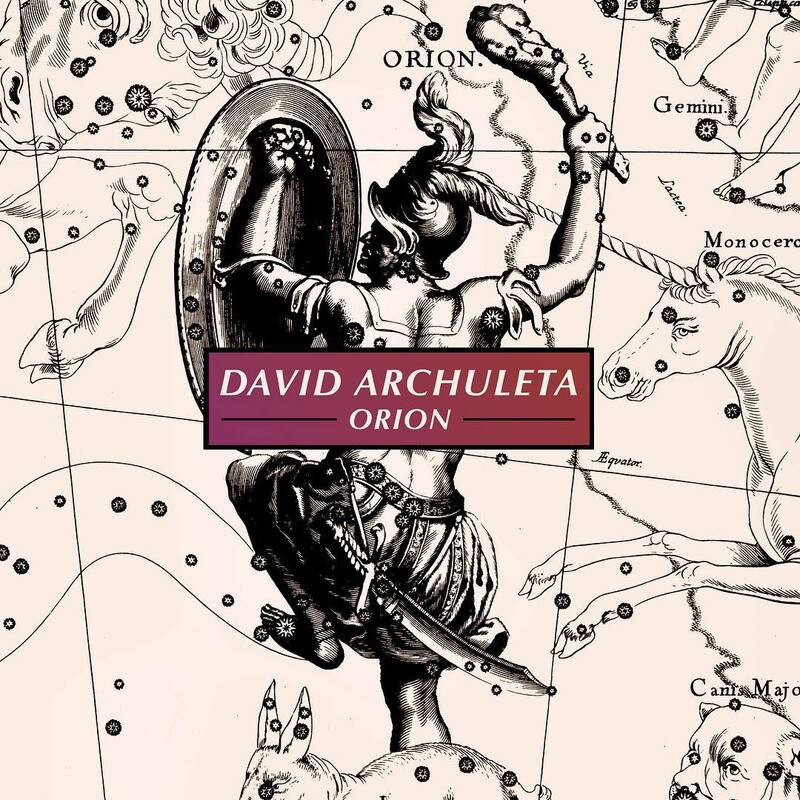 Wanted to share that this Glorious cover was done in China by a girl ( I think, on her mission )and her message to David is just wonderful! Collegemom, I do not have a clue on how they’re going to pick. Listen to this in Portuguese! Thank you for your uplifting music! You have an amazing gift to touch people’s hearts. We are part of a project that has the purpose of spreading the Gospel through music in the Portuguese language. This is our Portuguese version of the song. We hope you like it! Anodrlurker, So glad that this song gave you what you needed during your trying time. Years ago Save The Day was was a go to song for me. 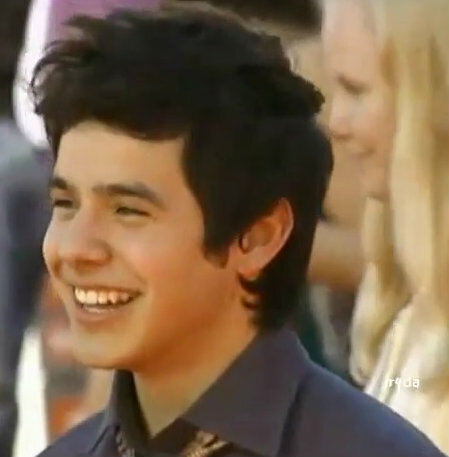 David’s is the first go to voice ever :). Thanks Djafan! It’s amazing how much David has done for people everywhere — if he only knew. I wish this fact really hits home for him and gives him the impetus to continue making beautiful music and allowing it to reach as many people as possible. That being said, I should also mention that The Other Side of Down, the entire album, got me through the challenging time as well. Just as David intended it to – spreading positivity and encouragement. Sorry for the consecutive posts, but bringing this over here too: Jasmin Curtis-Smith promoting Nandito Ako on twitter. It starts airing again today. 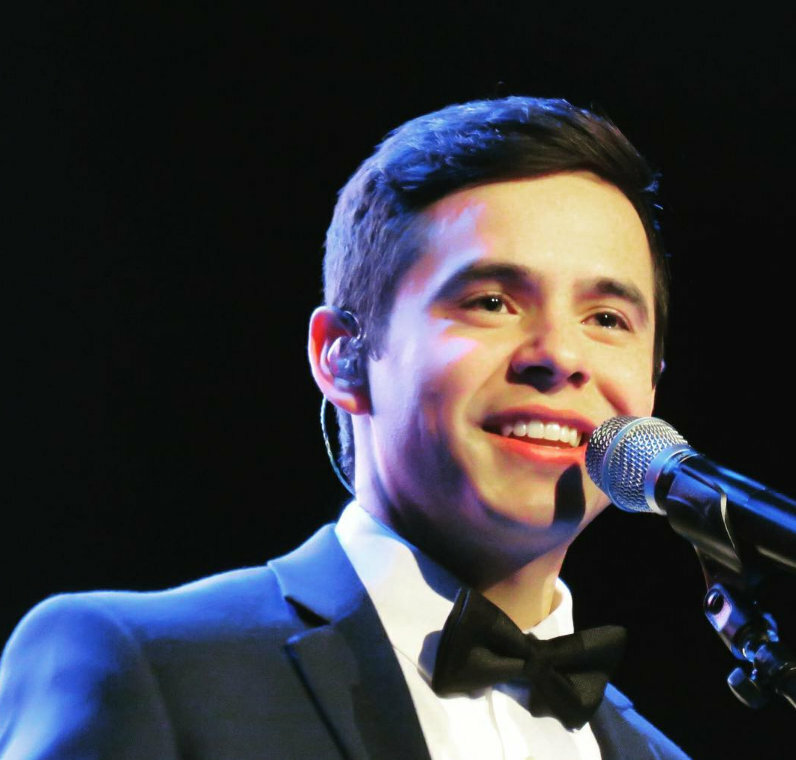 Great way to rev up David’s Asian fans for 2015! Bringing him back into mainstream. This really is a universal song .I can’t get it out of my head! So happy David put his special touch on Stephanie’s work.The little song that could! There was a song way back when, called “I’ll Never Find Another You ” can’t remember off the top of my head who sang it,haha.Oh wait!,The Seekers,I think. Certain songs just grab you with their lyrics,that was one for me in the 60’s. I wonder sometimes, if David knew… or has always known…,or never really known…or knew, but doesn’t totally understand exactly what his voice means to people (well you know what I mean).Or… how this song would liftoff and skyrocket,(we know he is a genius after all) but since he did release it as a single, maybe he did. I hope he is rediscovering the power,and effect his voice has on so many from all walks of life. 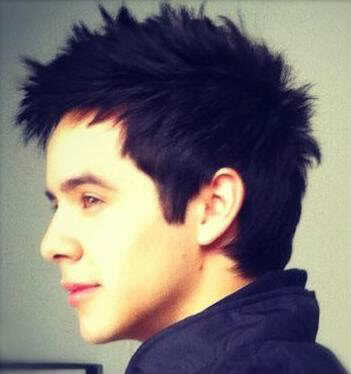 We want and NEED your voice David♥The world needs it badly! This is my new favorite of all the Glorious efforts. 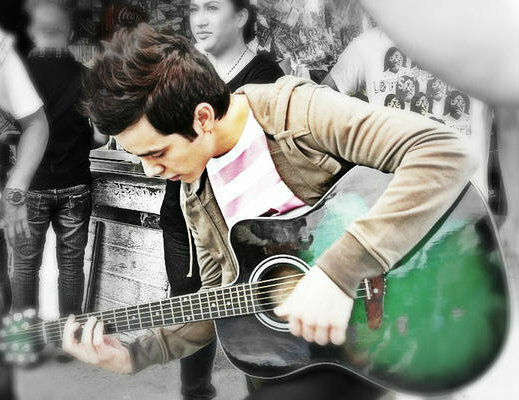 I love the guitar,arrangement its Awesome!! I love the Portuguese! Imagine, they wanted so much to sing it in their own language so they translated it! Sounds good! I remember “I’ll Never Find Another You”!! It was a favorite of mine too! But that video you posted of the two children singing “Glorious” is the best!!! There’s something about the sound of children singing that makes me feel good! Anodrlurker, thanks for bring that over about Jasmine Curtis Smith! Very observant Fernando! Great outfit too! 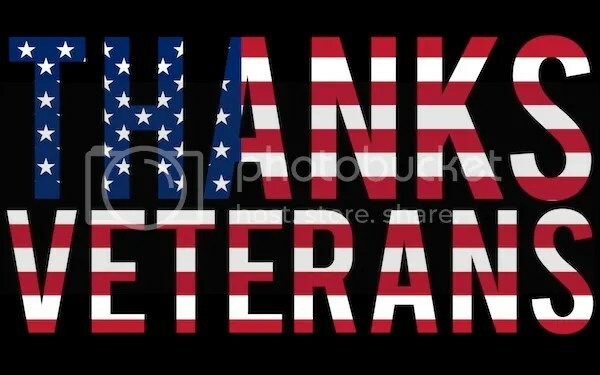 To all who have served our country. Abs, this still means the world to me. I love Pocoelsy’s video! What a talent she has! I love how she combined these, the different voices, parts, harmony, etc. Great job. Dear Abrra… I have a confession to make (*_*), my head is full of puns. And…every time someone says, “Nice Abs!”, well…..I have to admit that it makes me smile and wonder what your secret is to such successful workout results. On this Veterans Day, (and so many other days) my heart goes out in great love and gratitude for the service and perseverance of our military. Please remember dear ones, that although you may not feel surrounded at all times by your buddies when you return, there are many of us out here who love and support you in ways you cannot always see. Believe in yourselves and that you still have so much to give. The courage you have already shown will get you through to the next level of service, here, beside us. We are with you. You are needed. You are important. We still have good to do. God bless you. I think of your son Peter all the time. His service came at a personal cost that is not properly recognized, still. The video is about heroes. Young and old. Real and make believe. Today is a day to celebrate the bravery of the real ones. #34 Bluesky – I know what you mean about the abs thing. When I read that I quickly scrolled back up to the picture to see if I had missed something. Nope. Abrra, loved the article. Sometimes it seems David will do something like this that just seems like a happy serendipitous act, and it just takes on a life of it’s own. Whether he knew it would or not, he has to be thrilled with the outcome, and so are we. #33 Betsy, That video made me cry. I have a son who was in the Army for 20 years. Now he’s a Louisville Firefighter. Some people were just meant for service to others. He was in the first and second Gulf Wars. Right after the first Gulf War was over, there was footage on the National News. It showed some soldiers playing with a group of displaced Iraqi children. There was my son, right in the middle of it. At the end of the piece, it showed a picture of him holding a little girl who looked to be close to his own son’s age. It was a precious moment for me, and from the looks on the little girl’s face, for her too. I’ll never forget how proud it made me feel, not just of him, but of all the service men and women who sacrifice their own time, and sometimes their lives, for the good of others. Lynnella, I don’t know for sure whose idea the contest was, but I do know that having David as the featured singer had everything to do with it’s success. David sends a thank you message. So proud of David for going to a war zone to entertain the troops. Bebe – Seriously, when I scrolled back up to see the picture again, if I had actually seen David displaying abs, I would have crashed, along with my computer. Check out David’s picture tweet of him holding the caramel apple. Can I just say I’m lovin’ his fluffeh hair! Sorry if this posts twice..
anyway that caramel apple photo of David got 7000 likes on Facebook in 23 minutes and rising rapidly. Something like 500 likes every 5 minutes! And yes, fluffeh hair! Fluffiest photo yet! He looks so young!!! Nancy L…. yes, yes, yes: Hair!! whoohoo! Make that over 9000 in 36 minutes! Anodrlurker, Those numbers sure climbed fast! Very nice, Abrra. Or should I say Abs! I like how you think. I hope we don’t have to wait too long before more good things come our way. I saw this a couple hours ago and asked if this was true lol And now I see it being tweeted. Link website announcing David traveling to France and Spain for two days. I see the tweets from the fans in those countries. This is a great opportunity for them to see David. 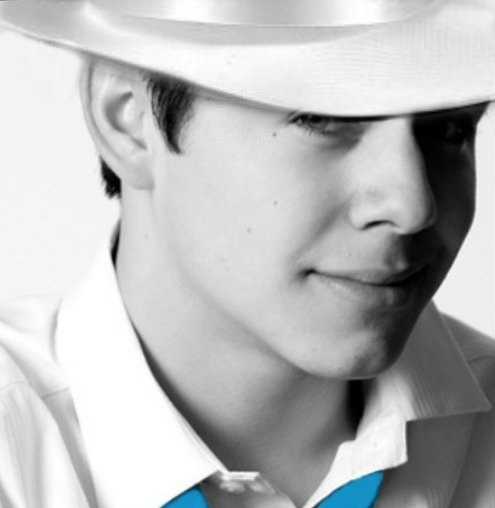 Siguiendo instrucciones de la Oficina de Asuntos Públicos del Área de Europa, el Comité Nacional de Asuntos Púlblicos está colaborando en la coordinación de la visita que hará el cantante SUD David Archuleta a España los dias 20 y 21 de diciembre de 2014. 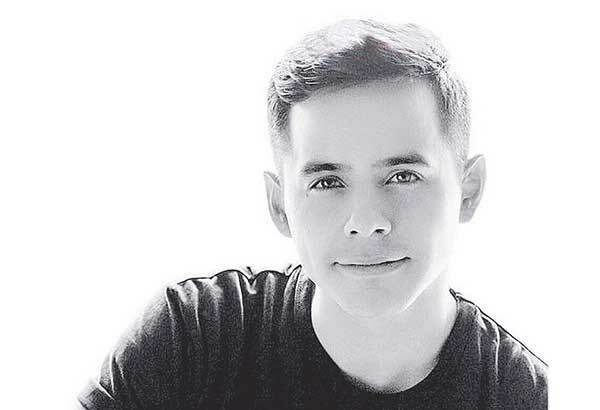 David Archuleta visitará los centros de estaca de Madrid y Barcelona de 18:00 a 20:00 horas, donde participará en sendas charlas fogoneras navideñas. El aforo tendrá una capacidad para unas 1000 personas. El cantante visitará posteriormente las ciudades de Burdeos y Lyon, en Francia. Dirección del centro de estaca de Barcelona: Calle Cantabria 31, Metro St. Martí. 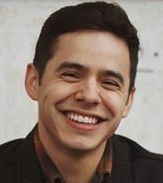 Instructions from the Office of Public Affairs European Area , the National Committee Púlblicos Affairs is helping to coordinate the visit will SUD singer David Archuleta to Spain on 20 and 21 December 2014 . 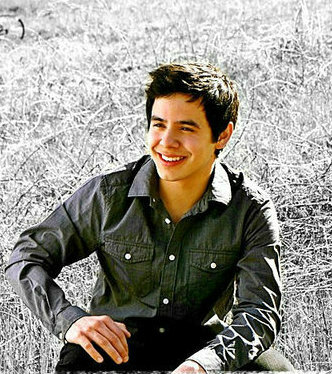 David Archuleta will visit stake centers in Madrid and Barcelona from 18:00 to 20:00 hours , where he will participate in separate Christmas firesides . The capacity will have a capacity for 1,000 people. 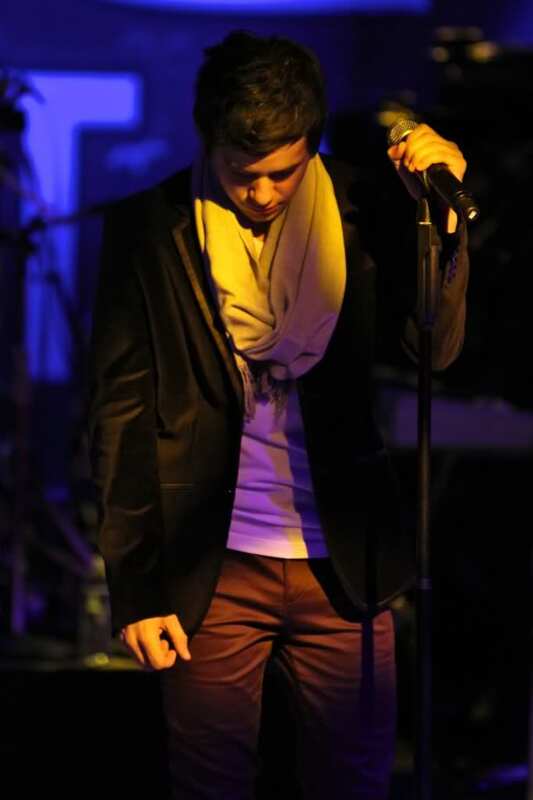 The singer then visit the cities of Bordeaux and Lyon , France. Address of the stake center in Barcelona : Street Cantabria 31 , Metro St. Martí. David is singing in Madrid???? Wow!!! If it’s public, maybe we’ll get video! And LOLing at the “Abs” convo. We love our Abs! ♥ She’s a sweetie. Ah,Spain,and France! Magnifico Hope he takes in some wonderful sights and flavors and culture while he is there, in such beautiful locales, but sounds like a very special quick trip abroad. If there’s music coming our way in terms of videos and mp3s, bring it on! It’s all about his glorious voice! 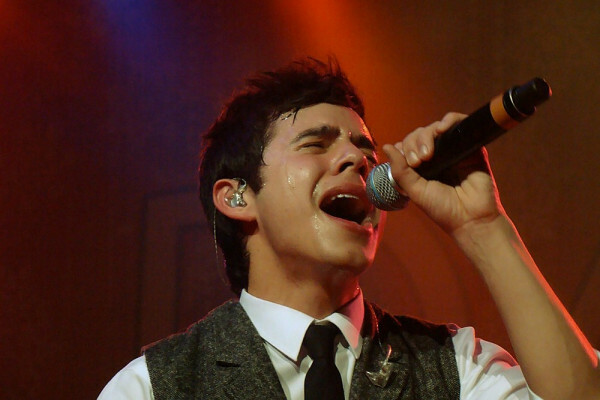 Skydancer – Oh, wouldn’t that be amazing to see/hear/watch him sing Pat a Pan in French in France!!!!! That would be a keeper! Hope his visas are all in order. It took my son months and months to get his visa to Spain. Perhaps it is not so long a wait if it is just for a visit and not a 2-year stay. Right I’m excited about 11/28 & 29. We know that fans are going to be there and some prolific video takers mixed in the bunch. And one that will be come ninja if they don’t allow video, she said it not me haha. 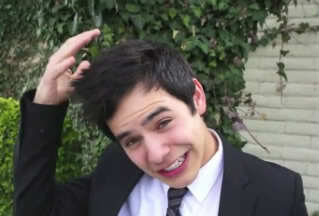 I also like the fact that David gets to go to that part of the world for whatever reason. He loves to site see and experience the cultures of everywhere he goes, we even may get some footage. Bluesky, I’d love to see the faces of the french watching David sing Pat A Pan! David posted this on his facebook. I think he may be seeing all the credit going to him and trying to include her. To be honest if it wasn’t for him I would have never given the song a second listen. Actually when I first looked up Stefanie and listened to her stuff it didn’t even register but The Zombie Song did lol. David’s voice, background vocals, melodies draw me in and then I notice the lyrics. 50…How can anyone NOT love that voice????? 61…Leave it to David to give credit where credit is due….not excepting the great job he has done to make everyone love it. He probably will never pat himself on the back. Guess that’s what makes him special. For Veteran’s Day….my husband was drafted twice in the Army during the Viet Nam war. My dad served in the Seebees, a construction part of the Navy, in WW2 fro 4 yrs. May they RIP. Re the FB link crediting Stephanie for Glorious, I think it’s great of David to do that. He’s always given credit to her and constantly mentions her. I hope he hasn’t been getting flak now because Glorious is strongly linked to him – but this is what happens when a star with many followers makes a song popular. I hope crediting isn’t an issue but I have seen tweets and YT and FB comments about it – that it’s Stephanue’s song, not his so can she please be credited, etc. David has worked with plenty of songwriters but they don’t necessarily get highlighted or mentioned every single time – kind of how it works in the business. Never seen this issue pop up with Eman, Lady V or even Daniel Bedingfield. My two cents. Don’t want David getting bogged by this issue. Again, nice of his team to make a statement on his FB page. I understand what you’re saying but I think this is a little different scenario. Just a guess, but perhaps it’s because usually Eman, Lady V, etc. 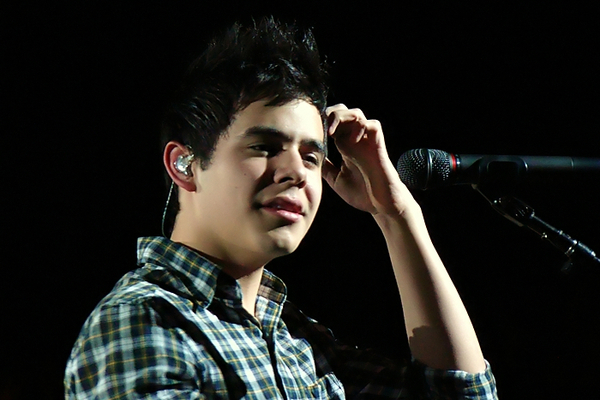 actually write the song with the intention of David being the singing artist. Unless I’m mistaken, this is actually a cover of a Stephanie Maybe song. She wrote it and recorded it herself over two years ago, long before David came along and sang it. So he credits her the same way he would if he did a song that was originally by John Mayer, Michael Jackson, etc. I can understand why they gave her credit. Wait, to clarify, I totally AGREE that she should be given credit because David covered her song. The thing that’s becoming an issue is people keep on commenting, asking David to give her credit — which I think he has been doing enough of, right from the start. David NEVER claimed it was HIS song. Thing is, he was asked to cover it for the movie, so of course his name was going to be part of the promotion and attached to the song prominently. 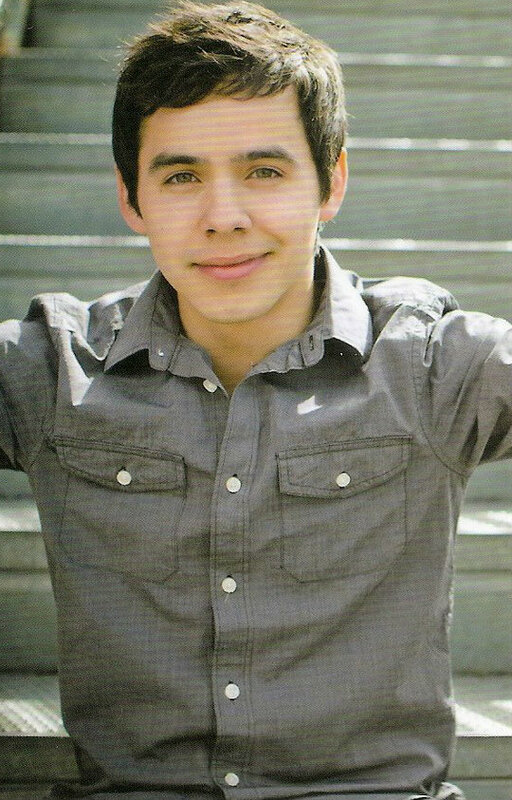 Plus he’s David Archuleta – of course the name recognition will be strong. I think some folks may be taking it the wrong way. I don’t know what people expect David to do, apart from what he’s already been doing in terms of given Stephanie credit, always mentioning her, etc. etc. etc. I mean, I wonder what even prompted them to make a separate statement on this on his FB page — I wonder if the comments got too much? Anyway, that’s all. Hope I was able to clarify sufficiently. Yes, I do agree that he’s given her credit quite a number of times and don’t think it should be a constant request from Stephanie’s fans or David’s fans (not sure who’s doing it) that it be done continually. They’ve already been great about making sure people know who’s song it is. 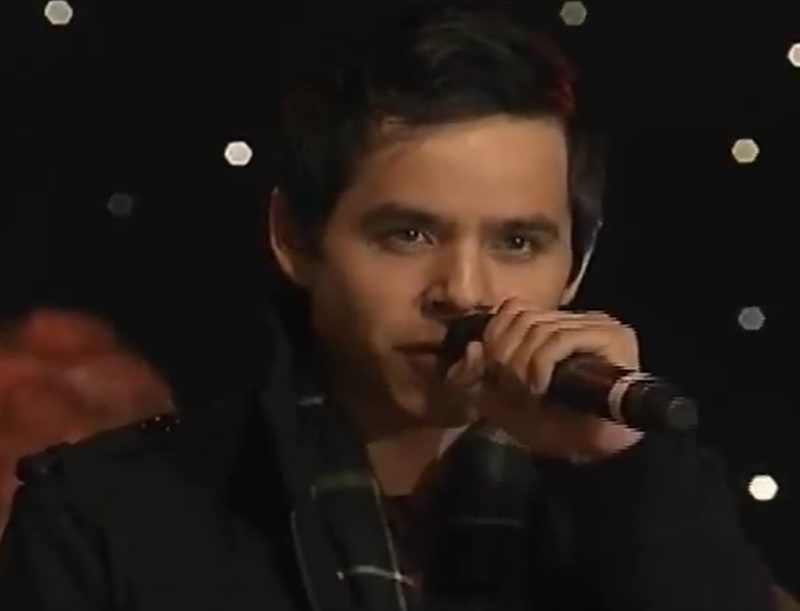 Stephanie even said on twitter how excited she was to have David sing her song. Her song is much more widely known now because of David and it will probably even bring more attention to Stephanie as a good songwriter, which is good for her career-wise. I agree with you, I don’t know what more people would expect them to do. They’ve already done more in the way of crediting Stephanie than the average artist probably would. Skydancer >> “OH wow… travelin’ man! I’ve read a few comments that make me feel bad. These fans are disgusted with the fact that he is willing to go here and there and do these firesides, but not come up with a concert. Do they not realize that this is the opportunity of a lifetime for these other fans. They are in places where his fan base isn’t huge, so it probably wouldn’t warrant a full concert. But, they are in places where the LDS church is strong, so the Church makes these firesides happen. They may never get a chance to see him in a full concert, but they can spend an evening listening to him speak and sing. I would love to spend an evening at such a fireside where he is. It would be such an uplifting couple of hours. This is the type of thing that keeps David’s name and face in the light, and brings in new fans. This, of course, is all just my opinion. Did you voice your opinion at the site where you saw the issue being discussed? It would make the most impact there. It seems to me that we live in an age where we desire instant information all the time: instant news, instant gratification, instant feedback, explanations, etc. And if there is even a perceived vacuum of data (rather than a real one) – we can sometimes rush to fill it with the most amazing conclusions. All of which demand answers “now”. The roles and rules of communication can get worn down and battered by supposed opinion, gilted images, optics, sound bites – kind of like “cocoa chocolate frosted mini puffs” ( I have no idea if there is such a cereal… so please forgive me if it is someones favorite! ) or what I always told my kids were “non-food” items. A lot of our information is like that: empty of healthy calories. So I think that some people actually feel that lack – subconsciously as it were. And so they yell, metaphorically , “Feed Me Seymore! !” until they get fed, sometimes even willing to “bite the hand”. And if someone is fortunate (or unfortunate) enough to make it into the public eye, and even appear successful in some unusual way that does not fit into the average “optic” or “soundbite”, well, the hunger of the public can sometimes lead them to assume they have a right to be fed. Now. And with the cereal they are most used to, if you please. And do not distract with a serving of vegetables!! I suppose that there are a few who really dislike DA or some of his choices, that is their right. No worries! But for many, I think it is the push of the culture that has been created. I find kindness here, which is highly underrated now-days, forgiveness, good laughs, fun, many divergent points of view, yet at the same time, all held together by a common trust of each other and of DA. For those wishing for David to sing a lullabye, your wait may be over! Thank you to all of you who have been there and supported me over the last several years! 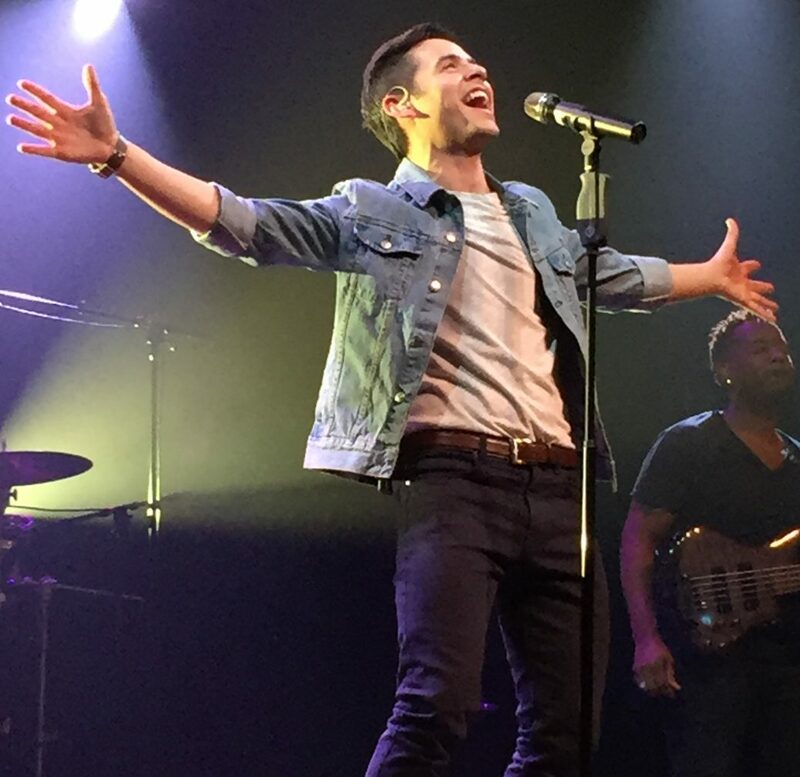 And, I want to say hello and thank you to those of you who came here because of one of the amazing artists i’ve had the privilege of collaborating with on this project: David Archuleta, Carly Smithson, Deana Carter, Leigh Nash, Mindy Gledhill, Daniel Tashian, Jack Matranga and Lucy Schwartz! I’ve had the pleasure of recording and releasing 6 records now, which is mind blowing. I figured now was as good of time as any to record and release a record collaborating with friends for a good cause. This album is going to be different for several reasons. First, this is not just a new album; this is a charity album. We’re raising money to donate to Operation Underground Railroad (O.U.R.) which is an organization that rescues kidnapped children from sexual slavery and 80% of the money raised on pledge will be donated to O.U.R. PLUS a great company called Foundation Entertainment (more on that below) will be MATCHING all donations up to $20,000! Second, this will be an album of lullabies and happy songs that I’ve aptly titled “Lullabies and Happy Songs”! Making the one thousand peep venues open to the public, there will be a lot of publicity, fun, exposure, etc. I can see this as very positive for DA going later to Europe on tour, if he chooses. And there may be enough forward notice for fans all around Europe to go. Multiple cities, venues? The price of travel is high but the concert will be free. Lucky guys, I say!! When the final data is in, maybe they will advertise it on “Archie Radio”? Would that be too cool?! I see the comments on the Glorious covers that say “this is Stefanie Mabey’s song”. I also see the ones that make no mention of David and the hundreds that only refer to him. What is one to do. Like I said earlier if it wasn’t for David I would never have given this song a second chance, sorry Stefanie. Bluesky, I like your take on things. No time to elaborate but love all the comments! Djafan, yep me too. 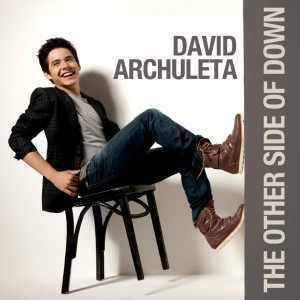 I only listened to this song because of David. It’s wonderful though and David has really given it something special. It is so weird that some fans has to make mountains out of molehills. That if David doesn’t do this or that he won’t ever do this or that. No wonder he made the vlog that he was going to do what he wants now and I am so glad! Me, I’m just going with the flow. That’s why I love this site, we only want what David wants and are happy for it! (PS I know of course, that everyone is not going to be included, but I have no idea how they would choose who to leave out. Soooo curious as to how they are going to do the Glorious supercut. Finger drumming…. Some of my favourites didn’t make the cut but the video is very nicely done and fills the heart — kinda proud that the sign-language girl from Alberta is included. Sweet!